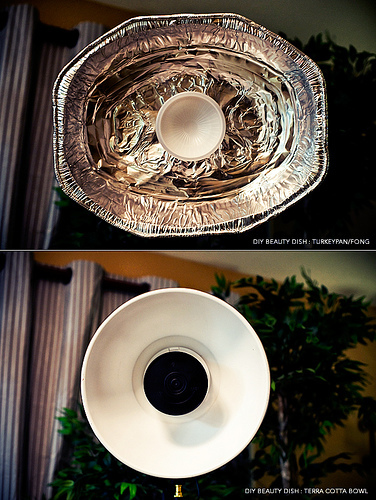 Have you ever wondered what are the subtle differences between various home brewed beauty dishes? Photographer Ed McGowan had just the same question in mind. He faced off two of the more popular DIY beauty dishes: on the left corner, wearing blue shorts at feather weight, the Turkey Pan beauty dish. On the right corner, enforced by the elements, wearing red, the Terra Cotta bowl beauty dish. What do you think? Which Beauty Dish do you like better? Sound off on the comments.